Oh No...All My Pictures are Gone! "Oh no" she exclaims..."no way." What could be happening I wonder from the other room? This was not her normal outcry when she encounters technical problems. As I enter the room, I notice an air of panic. What could have happened that would be so bad? "All my pictures are gone," she says. "I was just trying to delete this one image and now they're all gone!" Not wanting to believe it, I switched into technical support mode and started working on her computer. I was horrified to find that she was right...all the images were gone. We had around 170,000 images we had created covering some of the most important events in our lives. They were all gone. WOW! The happy ending is that we were able to recover all of them (we believe). It wasn't easy and we should have been better protected by planning for this type of event. So, I'm sharing our experience in hopes that it will help others not lose precious images. The digital age has completely transformed photography. We used to store negatives in a safe place in case something happened to our prints. Negatives today are digital images/files on our computers and other devices. Because of that, they are at extreme risk of being lost or destroyed. It is extremely dangerous to keep all of your digital images on one hard drive. Hard drives are one of the most common points of failure in a computer (and is the reason for the heightened interest in external hard drives). What makes things worse is that hard drives have gotten much bigger (hold more data) and have become less expensive. Modern computers are enticing people to keep all of their documents, music, movies, pictures, and other media on one machine by including huge hard drives...what if it fails? What if something unforeseen happens (fire, flood, burglary, etc)? The prevention step you can take right away is to create backups of your images. You don't need sophisticated equipment to do this. Most computers come with at least a CD burner but some also burn DVDs. CDs hold about 700 megabytes of data whereas DVDs can store 4 gigabytes routinely (some can hold more but that requires a special drive and special, dual-layer disks). The idea is that you periodically copy your images to CDs/DVDs so they aren't all in one place. Another interesting technique is to obtain a number of image cards for your camera (SD, xD, Compact Flash, etc.) and rotate them as you use them. They can be numbered so you can keep track of which one is next. The key to this method is not to remove the images from the image card when they are copied to the computer. This method keeps a copy of the images on the card and on the computer for a period of time. The more cards you use the longer you will have a backup. Eventually, the card will be reused but you will have a backup until then...just in case something happens. This method is not a long-term strategy but can be used with other methods to help reduce risk. A small investment (around $100 - $150) can set you up with a remote hard drive that may be as big if not bigger than the drive in your computer. You can simply plug it in and you're set. Transferring images is as simple as copying files from one folder to another. In some cases, the drives come with backup software that make this even easier. 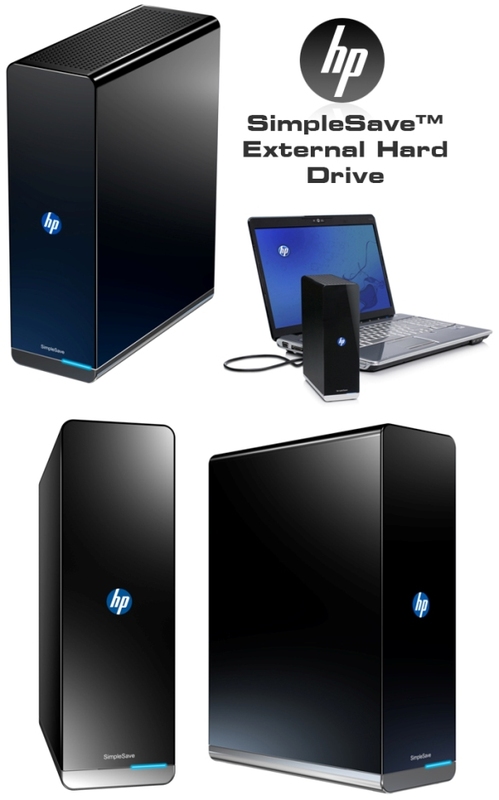 My favorite choice here is an HP SimpleSave external hard drive. All I had to do was plug it in, tell it what type of files I want backed up (Images, of course), and it does the rest. It automatically backs up files when my computer is on but not being used so I don't have to think about it. If you want to be more sophisticated, you can set up a home network with one computer dedicated to storing images (file server). This would create a common repository for everyone to store their images. Then, various backup strategies on the one computer can be used to ensure those images are safe. Backing up images seems logical...but why go to the trouble of keeping the backups offsite? Offsite storage is another layer of risk reduction as it reduces the likelihood of everything being lost due to a single event. For example, if something caused your home computer to be destroyed or if it was stolen, having backups offsite helps ensure you will have the most important images. Use a safety deposit box, relative's house, your business/workplace, or a neighbor's house to keep the backups. If this isn't practical, a fire safe may be an alternative, but is not always effective and they are expensive. Another strategy is to use remote storage. This a quick and easy method where images are stored at some location over the Internet (Picasaweb, ShutterFly, Flickr, etc.). Your images are uploaded to these "sites" where they are stored on their equipment. If you have access to the Internet, you can obtain your images making recovery easy. Some of the latest anti-virus software is now building remote storage into their offerings. Norton, for example, offers 2 gigabytes of offsite storage. You can buy more if needed. The downside to this approach is a dependency on the Internet and the solution provider. If the Internet wasn't available for the provider ceases operations (or is down), you can't backup or retrieve your images. My Images were Deleted...Now what do I do? This is the predicament I found myself in and was what prompted this blog post. One of the most important tools in your computer toolbox (I discovered) is a file recovery utility. Despite what it says "deleted" files on computers aren't really deleted (usually). Instead, an entry in the index that points to where the parts of the file are on the disk is deleted. The file itself is intact until another file (or part of a file) is written over the top of it. In the case of the "Recycle Bin" on Windows computers, the files are actually moved to a temporary location where they will eventually be "deleted". 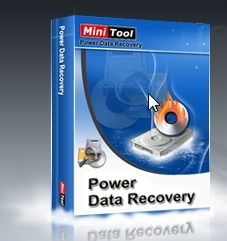 Once files are "deleted" file recovery tools work by looking for the actual files on the disk. They create their own index, making it possible to "undelete" the files. The most important thing you can do when this situation occurs is to STOP SAVING FILES TO YOUR COMPUTER. Because the computer thinks the space where your deleted image is located is "free" space, it will replace it with something else. Not saving anything on your computer will increase the likelihood that images can be recovered. The other thing to avoid is to obtain this software when the problem occurs. Too often, people download and install the software from the Internet when they discover they've deleted files they didn't intend to. If the most important thing to do is to stop saving things to your computer, then why would you go to the Internet (temporary files are created when you do this) and download a software application (it has to stored somewhere on your computer...probably right over the top of the images you want to recover). Plan ahead and do it before you need to. I found Power Data Recovery Free Edition to be very effective at recovering a variety of files. I like it because it retains the original folder structure when it recovers files. Digital images are precious moments in time that can't be replaced (we can't turn back time). Once we've captured them, a little common sense will ensure that we will have them for generations. Prevention is the key - avoiding situations that will put your precious moments at risk will make it more likely that your images will be available for generations.